Barrick Gold (NYSE:ABX) announced today that it will divest itself of 13.5% of African Barrick Gold (LON:ABG). The company said that the placement will be conducted through an accelerated bookbuild offering process launched beginning immediately. Barrick Gold was down 1% to $19.71 at 2:30 p.m. a share in a generally down day for gold miners. African Barrick Gold (LON:ABG) was up 3.18% to GBX308.10 per share. UBS, J.P. Morgan Securities and RBC Europe are joint bookrunners. The placement will comprise of approximately 41.0 million ABG ordinary shares, representing approximately 10.0% of the issued ordinary share capital of ABG. 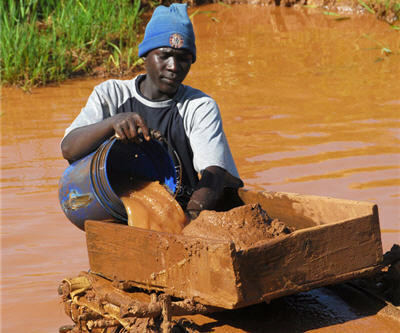 African Barrick Gold, which was established in 2000 when the Barrick Gold began operations in Tanzania, has resources of about 32 million gold ounces.